These are two original Bo Randall (NOT Gary) Miniature knives. There are only 19 documented miniature knives that were made by Bo Randall prior to 1960. These are outlined in the Gaddis book. 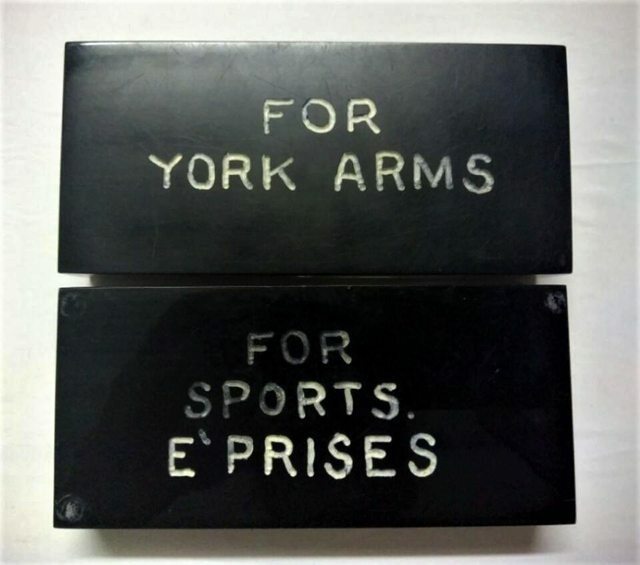 The first one he made was during WWII to be worn as a lapel pin on his own sports coat. 3 more were made in the later part of the 1940's for one customer in Missouri. The last original miniature knives that Bo himself made were completed in the late 1950's and sent to a company in Ohio to have them encased in Lucite and made into paperweights for exclusive authorized dealers or customers of the time. 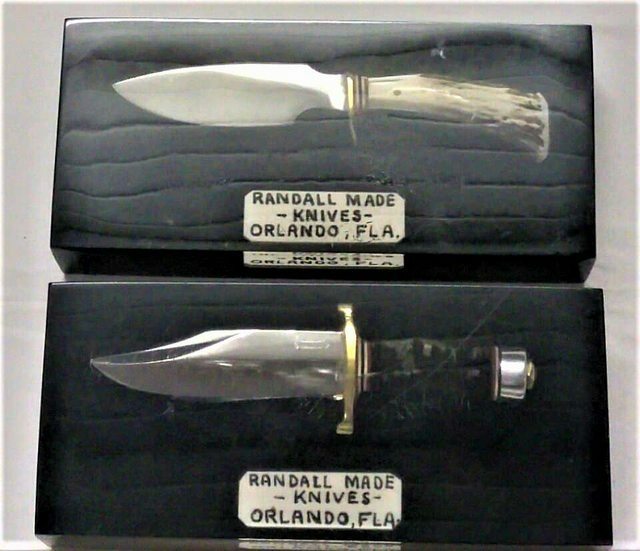 Whenever you hear collectors speaking about miniature Randall knives, they are talking about the ones made between 1965 to the 1970's by Gary Randall, not these rare knives made by Bo Randall. Out of the 15 of these made, 3 are in the museum, and I own 2 more. Lets find the remaining 10 of them! Location: Northwest Mississippi just south of Memphis and close to God's Country...Ole Miss. Thanks for posting these two rarities. These miniatures make a fine addition to your already spectacular collection. It takes less effort to smile than to frown ! Funny stuff Bill. I don't think Canadians are allowed gun shows, are they? I scored a nice early mod 23 the other day, stag with 7 spacers, placing in in probably 1972 production. I caught it just 1 hour after it was listed. I will post photos when in hand. Great score Bill, love all the rare early stuff.